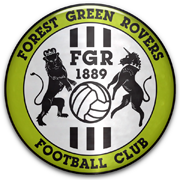 Formed in 1890, Forest Green Rovers have made a gradual progression from county leagues right up to the Conference in more recent seasons. Despite being relatively local to Swindon, there have been surprisingly few links between the clubs - they have never met in a competitive fixture - and perhaps the most significant player who represented both sides has been Paul Hunt, who became a bit of a legend at The Lawn having coming up through the Town ranks, before leaving the County Ground in 1993. Rovers awarded Hunt a testimonial in 2002, a Swindon XI travelling to Nailsworth and were soundly beaten 5-0. Swindon were the first opponents at the Rovers' New Lawn ground in 2006, nearly 1,500 people watching a 3-2 victory for the Town, in a match that was also Dennis Wise's first as Town boss. Swindon survive a scare against Conference outfit Forest Green Rovers - after going behind midway through the second half, goals from Aljofree & Sturrock spare the Town's blushes.